How Can I Create A Billable Expense? Next time you front a cost on behalf of a client, use AND CO to automatically add the expense and receipt to the next invoice. This is great for things like event tickets, stock images, subscriptions, and lunch (if you really want that tax credit). Once you have set up your billable expense select the green update tab to save it. When you go to invoice your client/project you will then see that the billable expense is shown on the invoice and added to the total invoice amount for payment. You can unselect the billable expense if you do not want it applied to the invoice by un-checking the check box. 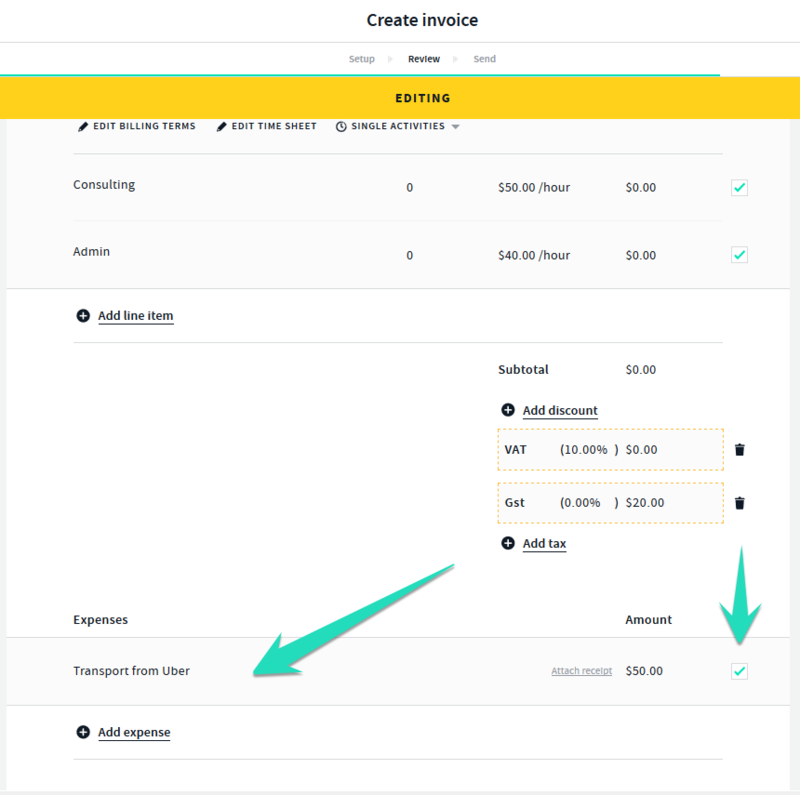 You can also add more billable expenses directly on the invoice in edit mode by selecting the > add expense option.